One of the good use cases for so called “big data” approach is modeling of private social network. Same of course applies for list of customers, employees and so on. Below is example of my own private social network. It is composed from denormalized data generated from all my contacts from business and academic sphere. 1) With no colors there is visible some secondary structures on the picture. These are “functions” known by ITIL folks. 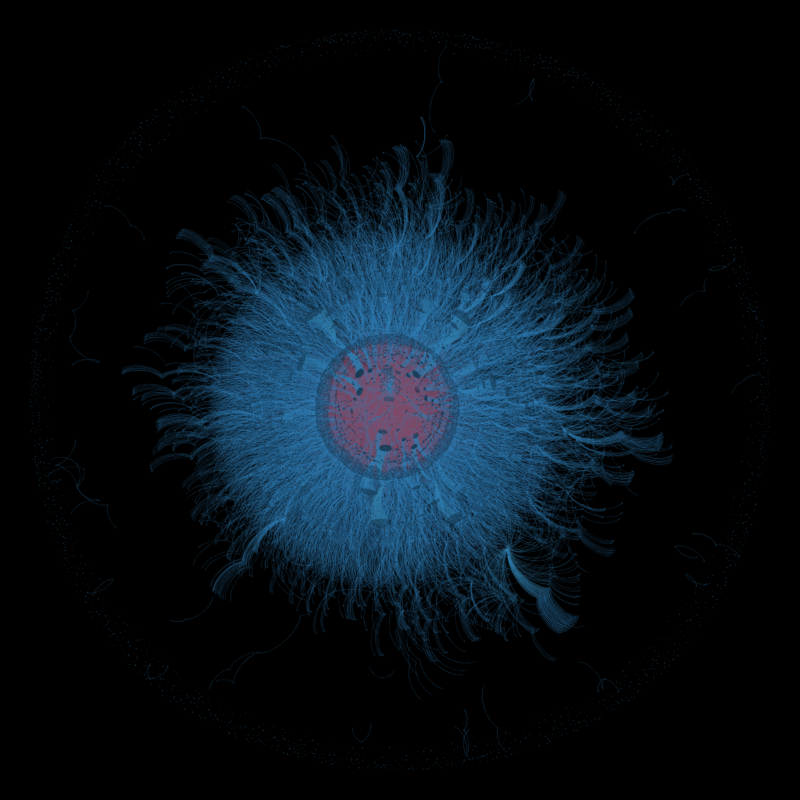 2) Colored picture shows more tertiary structures in the network – like grouped “job titles” and companies. Each “branch” stands for business area represented by couple of companies. This image shows only contacts, related to joined Pharmaceutical and IT Sec. industry. WHY is this not just a toy for data-nerds? Using graph database and combination of Python based algorithms and Cypher language, I have generated map of big network of people bonded with various kinds of relationships with various features/properties. This model would work with approx 8 thousand people (like my example) but also with ten to hundred times more data! Using this attitude, it is possible to use semi-automated way to asses eventual targets for phishing campaign which might be part of penetration test conducted in your company. Adding some “history” data to this particular graph database, it would be easy to determine bad security habits of your employees and provide them with tailored training. Lets be quicker than the “bad guys” and build our maps of potential targets and vulnerabilities already!